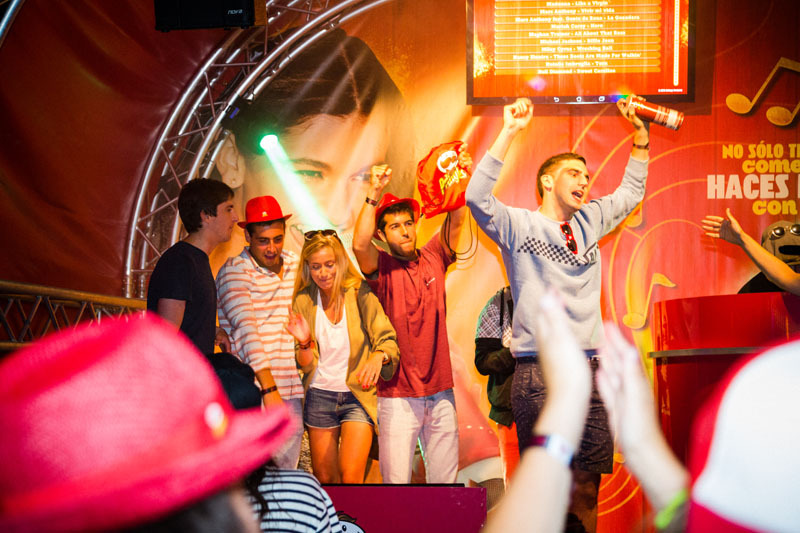 029 developed two karaoke apps which could be used in-store as well as at music festival activations. We were asked to come up with an experiential idea to strengthen the link between Pringles and music related snacking occassions. We were also supposed to support the campaign message "You don't just eat them, you make music with them!" We developed two mobile applications that were used internationally. For one app, we developed a karaoke functionality in four languages with 400 songs. For the other app, we developed a karaoke quiz in four languages.